The tradition began before I was even born. My parents played tennis with friends on Saturdays, and tacos were an easy and cheap way to feed a crowd at the end of the day. The tennis playing waned over the years, but the tacos remained. At some point, it dawned on me that I would have to find a husband willing to go along with this delicious insanity. Luckily, Jeff didn’t bat an eye when I broke the news that every Saturday dinner for the rest of his life had been pre-determined. Fox Family Tacos are prepared according to an un-changing set of guidelines: Browned ground beef with a little chopped white onion and taco seasoning. La Victoria Salsa Brava hot sauce. Extra sharp cheddar cheese, shredded. Chopped tomato and shredded iceberg lettuce, tossed together in the same bowl with plenty of salt and pepper. Flour and soft-shell corn tortillas, pan-fried in oil. Coca-Cola Classic on the rocks. Tacos are a perfect way for families to spend time together in the kitchen. My Mom got me involved as soon as I was old enough to wield a box grater. She would start the beef, and we would both take turns stirring while it cooked. I shredded the block of cheese while she chopped lettuce and tomato. I set the table, poured the Cokes, and woke Dad up from his nap while she fried the tortillas. Now that Jeff and I have continued the tradition in our own home, I’ve taken over most of my Mom’s old duties, and passed most of my previous duties (including the monotonous cheese-grating task) on to Jeff. Did I ever eat an Asian taco growing up? Absolutely not. But since taco night is moving from Saturday evening to Sunday Supper this week, I figured I’d give the tacos a new spin, just this once. 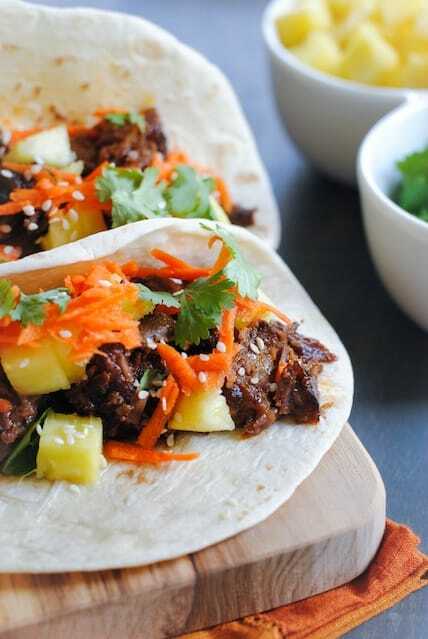 Inspired by some great Korean short rib tacos I’ve eaten from food trucks, these tacos utilize short ribs simmered in a slow cooker with a variety of Asian flavorings, like the gochujang I’m still trying to use up. 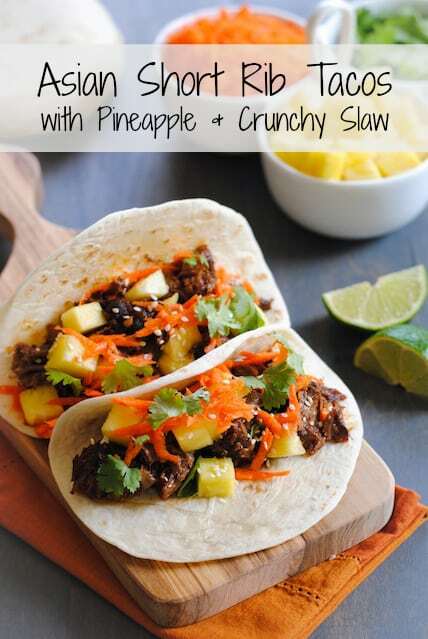 I topped them with a crunchy carrot and cilantro slaw and juicy, sweet pineapple. In large skillet, heat oil over medium-high heat. Add short ribs and cook 8 minutes or until very brown, turning every 2 minutes to brown all sides. Meanwhile, in slow cooker bowl, whisk together garlic, broth, gochujang, 2 tablespoons rice vinegar, ketchup, honey and ginger. Add short ribs, turning to coat. Cover and cook on low 8 hours or on high 4 hours. 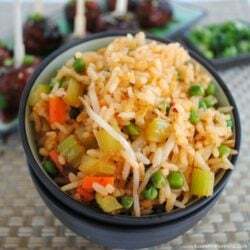 In medium bowl, toss carrots, cilantro and remaining 2 tablespoons rice vinegar until combined. When short ribs are finished cooking, remove from slow cooker. Remove bones and any visible un-rendered fat. Coarsely shred meat. **The meat should be very moist and can be eaten as is. However, if desired, separate the drippings from the fat remaining in the slow cooker bowl. I use a gravy separator for this. Alternatively, you can pour all liquid remaining in the slow cooker bowl into a large measuring cup and refrigerate 20 minutes. The fat should come to the top, and you can easily skim it off and discard. Use a few tablespoons of the meat drippings to stir into the meat. 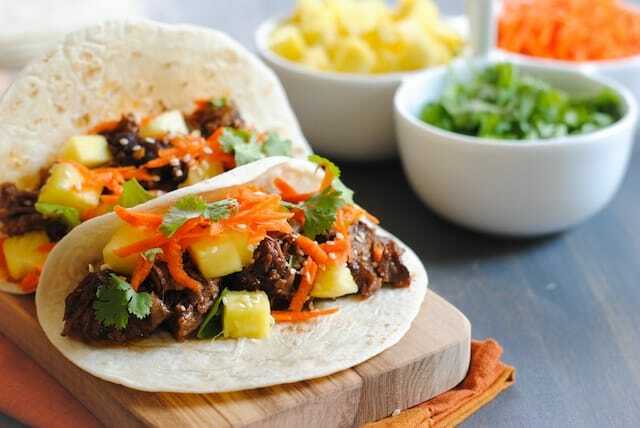 Build tacos using tortillas, pineapple, meat and carrot slaw. Serve garnished with sesame seeds. I LOVE your Saturday night taco tradition! And I need too add your marvelous Asian inspired tacos to my menu…brilliant! 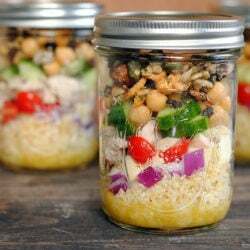 I love recipes that encourage trying new things and this one is perfect. I can’t wait to try out this recipe with my kids. What a great way to introduce new flavors and also sneak in some fruits and veggies. Now those are some great tacos! How fun that you have taco night every Saturday. Good thing your husband enjoys them and is willing to go along with the tradition. Whew! If he didn’t like tacos, I don’t know what I would have done, Renee! I think it helps that I both love tacos and I enjoy helping you cook. Unlike some other times where me trying to be in the kitchen just bogs you down – getting in the way, asking dumb questions, etc – I have perfected my taco making skills. I realized lately that I don’t eat enough tacos, and they are so good. 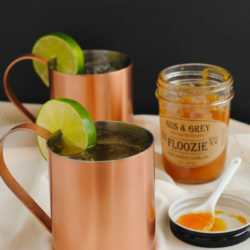 This is one of those recipes with all the right words in the title! Haha, thanks Paula! Sounds like you need more tacos in your life, stat! I love Asian tacos. They are new to me as well but I love them. We are having Asian short ribs this week and always have a ton left over so this will be a great leftover/repurposed dinner for us the next night! Hope you enjoy the tacos made with your leftovers! Sounds great! That’s the thing – I NEVER get tired of tacos! Your tacos sound so delicious. I plan on making some Asian tacos soon. Can’t wait. Sounds awesome, Lane! Can’t wait to read about them. We love taco nights at our house too. Yours are now on my must make list. I love the spices paired with pineapple. Sounds and looks amazing! Our Saturday night was family pizza night! I would have gladly eaten tacos too! These look FAB!!!! Oh, we had pizzas most Sundays! Without as much fanfare or tradition, but still – that was another weekly meal, for sure! I love this tradition! When I was a kid, I was the “official cheese graterer” too. BTW, I’m glad you grate your own, that’s so much better than the bagged stuff. The recipe looks fantastic. I can’t wait to try it! Oh yeah, you MUST grate your own! That bagged stuff is all “dusty,” for lack of a better word. No good! This is such a heartwarming story. I love traditions and your humor infused post is fab! I know I will join this slow cooker revolution, but until I find the space to store another thing in my kitchen, how can I cook the ribs to get the same delicious results? Hi Betsy – you can definitely braise the short ribs in your oven! Follow the instructions for searing them on the stove, and mixing up the sauce (although you may want to add an additional cup of broth or water to the sauce). Instead of putting everything in the slow cooker, but it in a big braising pan, or roasting pan covered with foil. Cook it low and slow in the oven until the meat falls off the bone. I would recommend about 4 hours at 200 degrees, but you’ll just have to check it as it cooks. Hope that helps! This helps tremendously! I can’t wait to give these a try! Those short ribs look absolutely melt-in-your-mouth! And I am absolutely in love with your Saturday taco tradition. Thanks, Heather! This week, tacos got moved to Monday. Shhhhh. Don’t tell. Lori, these look and sound amazing! I love short ribs, and bet they make fabulous tacos! And you won’t win the ugliest childhood favorite photo contest either – gorgeous! What a fabulous family tradition and I love that you’ve carried it on! Taco night was definitely a favorite in my house and I considered doing them, but we were simple, ground beef and taco seasoning, plus what you described extra sharp cheddar, iceberg lettuce, tomatoes, etc. . .We were crunchy taco shell people though! What a great family tradition. I love that you are continuing it on; oh and your updated version sounds absolutely amazing taco recipe! Love it! I love these tacos! Fox Family Tacos sound delicious. . how awesome that you keep a family tradition you had while growing up. . and dude, love the Korean style meatballs too. . totally going to check out this recipe! Love your spin on these tacos, delicious!!! Thanks, Alice! That gochujang is just carrying on in my fridge. I’m sure there will be more recipes with it in the near future, too! I love this story! I wish we had more taco dinners growing up…I think we had those El Paso dinners, like, twice! Wow, Kim – your mom is awesome! That’s so cool! I could easily eat your standard tacos every Saturday night. Switch up turkey for ground turkey and we already do. lol I need to switch up our routine and try these and a few others I see listed on your site. They all look amazing! Oh, turkey sounds great for tacos! I’ve never tried it, but I bet it’s delish. Tacos are such a fun way to get kids involved in prep and in making up their food! We do tacos a lot (But not as much as you guys! ), so we will have to give this a shot soon! You know what, Bianca? I agree! I was shocked at how expensive short ribs were when I bought them. I think they used to be a cheaper cut of meat, but now they’ve just exploded in popularity, which has made them more expensive. I think these tacos would be great with a chuck roast. But so glad you like the recipe, and thanks for stopping by! You could more than likely speed up cooking time, by doing the short ribs in a pressure cooker, and still get all that same yummy flavor in a fraction of the time. You sure could, Jeff! I don’t have a pressure cooker, but I wish I did! Someday! I made these and LOVED them! I STILL do not have a slow cooker, but roasting the meat in the oven worked beautifully. The slaw was delish and the pineapples were the PERFECT addition. Thanks for a yummy recipe!!! So glad you loved them, Betsy!